After pursuing a gap year on Exchange in Denmark, I returned to Tasmania to complete my studies at the University of Tasmania. I recently graduated with a Bachelor of Fine Arts with Honours and have finished my first solo exhibition as an emerging watercolour artist. “Through my time studying I found solace in the delicate composition of watercolours. I poured myself into non-objective colourfields that allowed me the purest sense of self-expression. My practice is driven by process, responding to the to the complexity of my emotional psyche. I rearrange ritual, routine and reflection to create non-objective, colour-field works on paper. 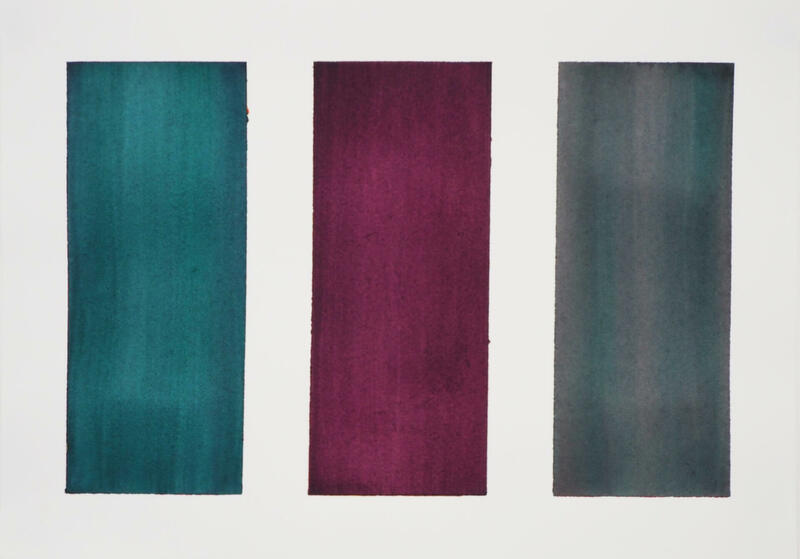 My ritualistic practice is highly minimalistic as I add and subtract fine, highly-pigmented watercolour layers on paper allows me to visualise my emotions; in an attempt to make sense of, and control them. Boundaries are set with masking tape to control the watercolour process, using the width of the masking tape to dictate my frame, allowing the colour to breathe and resonate against the stark white border.